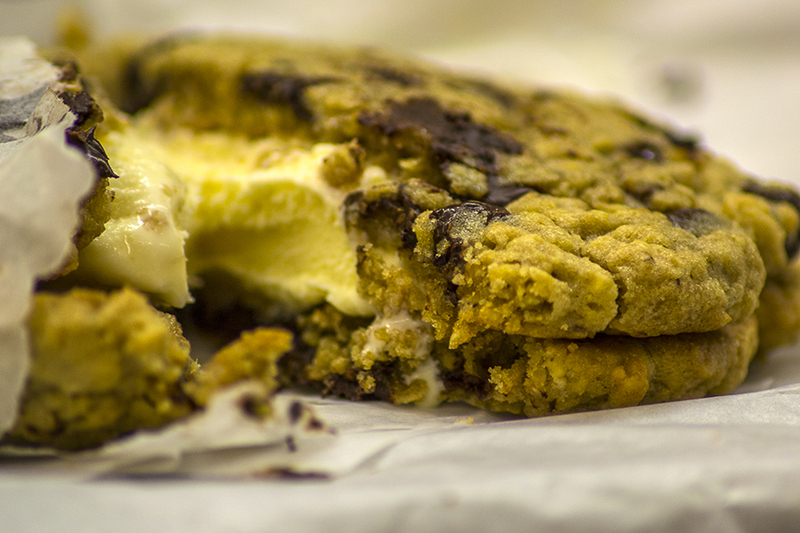 Potbelly Ice Cream Sandwich: Which Flavor Goes Well with Shame? DC residents all know Potbelly—the local chain that specializes in delicious sandwiches, cookies and ice cream milkshakes that all make you feel bad about yourself. Seriously. Even their new Mediterranean vegetable sandwich is enough to make you understand that you’ve disappointed your family. The restaurant also offers salads, but no one knows what they are like because no one has ever ordered a salad at a Potbelly. And while DC residents love to brag to their out-of-town friends about how glad we are to have places like Jack Rose, chefs like José Andres and chains like Chop’t, Teaism and the great and powerful Sweet Green, we all have a dirty little secret: We all eat at Potbelly. And we all love it. Every time we have one of their oatmeal chocolate chip cookies, it’s the best thing we eat all day. Every time. Well, the next time you have to decide between eating yourself to shame with a sandwich, a cookie or a milk shake, spare yourself the decision and just conflate all three: Potbelly makes ice cream sandwiches. You know how Potbelly’s milkshakes taste like heaven probably smells? Well, they take the ice cream from those things and they stick it between any two cookies you choose. Personally, I’d go for two oatmeal chocolate chips, but the brownie chocolate chip cookie (seriously, I got diabetes just typing that) with vanilla ice cream would probably be a nice throwback to suburban American childhood. I can’t for the life of me figure out what kind of ice cream would go well in a sugar cookie sandwich, but if you figure it out, be sure to mention it in your will. Rick Barry currently directs communication for a network of churches in Washington, DC, and in his spare time serves as managing editor of Vision of the City, a blog dedicated to the intersection of Christian faith and civic life. He has cut a watermelon in half with his bare hand. The last is, by far, his proudest achievement.